Up at 6am this morning for a Radio Kent interview on the growing number of unapproved small business advertising signs outside Westwood Cross but I've also been receiving a steady number of emails and phone calls about the seaweed smell along our seafront in the last week and the council has now published a fact sheet on its website where you can find more information on what can and can't be done about this unpleasant problem. My own understanding of the problem, is that the Thanet seaweed harvest locally goes back many hundreds of years and accounts for many of the gaps cut into the bays so that farmers could collect it for fertiliser on their fields. These days and aside from a very small handful of local volunteer farmers, they don't want it on their fields for a number of reasons. Our shores produce more tonnage of seaweed, by order of magnitude, than any other spot in the south of Britain I'm told and this presents us with a number of visible challenges not least of all being the smell, which I'm informed is actually harmless seaborne bacteria thriving under the warm damp seaweed and not the weed itself. In recent years the laws have changed in regard to disposing of the seaweed, both through European legislation and our own Environment Agency. My information is that the council can't simply haul it away to a landfill like it did before. 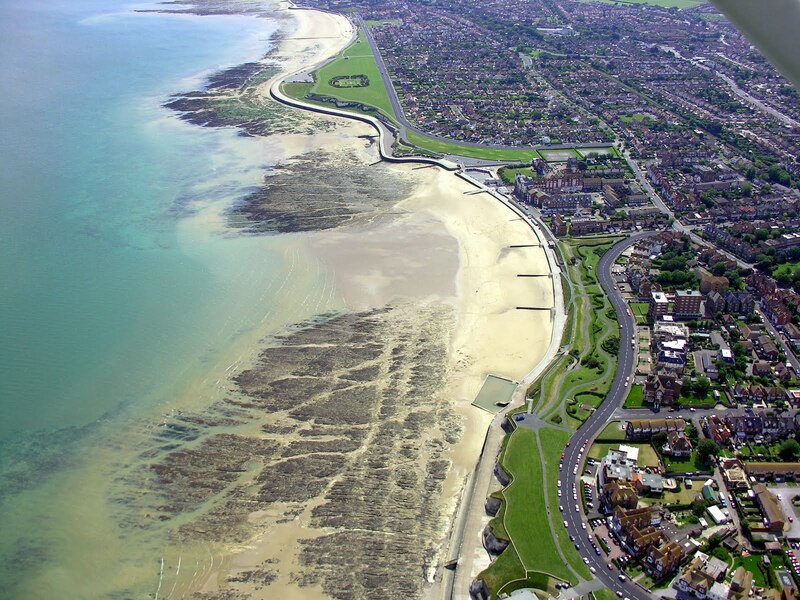 So, in relation to seaweed in general the council's aim is to leave it if possible. However, if it can be moved within a bay area to a location where the tide is more likely to remove and not return the seaweed then this is an option and you may notice the council teams at work by 5AM. The success of this can depend on the state of the tide and wind as well as other factors, but is more often successful than is often thought. The avenues the council has available for the actual removal of seaweed from the coast are fairly limited, especially as the farmer's fields it can use under licence from the Environment Agency are all still under crop. The council of course uses its allotments as much as it can where the seaweed is well received, but the quantities are relatively small. Other treatment options are not available in or near the district at the moment, and these are all likely to have cost issues as so far nobody appears to be willing to take the weed at approaching zero cost. Previous figures that exist had for sites in the west of Kent are reportedly unaffordable. The council's aim of seeking a broad range of alternatives, is to avoid the need to try and move seaweed to other locations but when faced with such a huge innundation of weed at the start of the summer holidays the local council has to manage with what it can and with the resources it has available; taking a variety of actions all around the coast to and with a primary focus on removing weed from the main advertised and awarded beaches. Finally, Dr Alasdair Bruce and I will be meeting with our local MPs Roger Gale and Laura Sandys on Friday to discuss the problem and potential solutions. See BBC South-east Today news video. Quite possibly their own environment agency rules are different too. In Britain of course we have a proud tradition of playing by the rules which frequently appears to work against our best interests! Also http://www.bbc.co.uk/news/10265869 same problem, different year! Well it is good to see something about this topic as it does seem to be particularly bad just at the very start of the holiday season and, to the untrained eye, nothing seems to have been done at the beaches close to me (St. Mildred's Bay in particular). As the council collects green waste, for composting as I understood it, can the seaweed not be added to the council's giant compost heap? Simon, Roger Gale was reported two years ago to be meeting with the Environment Agency to sort this out. Not much progress! He did I believe but we need rather more in the way of concessionary discretion than we presently have. Perhaps you could enlighten me Simon, I am interested in using seaweed on our garden. Are there any regulations, or permissions required, pertaining to the removal of small volumes of seaweed by individuals for use as garden fertiliser? Seaweed again creating a stink. This has been a problem for many years. As you state farmers used to use this free comodity on their land but methods have changed. Last year the idea of pushing back into the sea was not effective. Palm bay for instance was cleared by this method but then seaweed was then washed into Walpole Bay where it was a metre thick and very dangerous. We now also have the added problem of an invasion of Jap weed (Sargassa) so the weed problen is not going away. Has the ammounts of weed increased? If so why have they increased? Well usually problems like these are man made. A factor to consider is there excessive shellfish harvesting? A fellow volunteer of mine on the Thanet Coast Project pointed out that a limpet can clear about a metre square of algae in one tide. Many of the limpets have been harvested. A study of our chalk reefs also reveal an infestation of the pacific oyster introduced some years ago by oyster farming which is deastroying the habitats of native marine life. The solution to the seaweed problem is likely to be elusive but no doubt something to do with the marine eco system. Maybe the solution is in finding an economic use for this comodity. I am sure I heard of something recently that there scientists working on a discovery that seaweed could be used to produce bio diesel. If that was the case then maybe this could be the answer to our prayers. 8:15. there is no reason why you can't use our excellent local seaweed to compost your garden. Apparently you should mix it with your compost first or so I'm informed! Thanks Simon, I'll help myself then. @Tony2 Or perhaps a bio-gas (methane) digester feeding a fuel-cell or combined heat and power generator. The process produces a very valuable plant fertiliser as well. The seaweed could be combined with animal manure, which is another smelly problem that needs dealing with. Are you absolutely certain that this is just "harmless seaborne bacteria" Simon? Certainly some people in this week's Isle of Thanet Gazette don't seem to think so. Peter it's been the same every year since the Roman invasion. Your'e not telling me that you believe anything you read in the Thanet Gazette? It's rather like relying on the Daily Star for your information! Sun shining and Hartsdown Park had in excess of 300 people enjoying a BBQ at the nursery today. Children running around playing in the park while all the adults chatted and got to meet new friends. This is what this park needs and from the response from all who attended today they are outraged at the potential development of this amazing parkland. It was so good to see so many locals enjoying the natural sarroundings in our park,even though there were in excess of 300 people attending there was not one piece of litter to be seen, a truly memmorable day and one which i hope can be repeated annually should the development not go ahead. I know that you have spoken often on this subject, however i feel that a lot of your colleagues on council have turned turtle in their approach to this and fear that this development will be pushed through regardless of the local anger at this proposal. The development was approved (deferred and delegated) by TDC at its last Planning meeting earlier this month. The development's impact is reduced in the application and the report for Planning Committee made it very clear. This has dragged on for too long. Time to let the sleeping dogs lie, perhaps? The sleeping dog had been left to lie, then someone kicked it and woke it up again..... much to the immense disgust of all sane members of the public who do not want to lose their parkland. Hartsdown Park DOES NOT BELONG TO MFC. How was it kicked up and why has it caused so much trouble? Whats happened since the planning consent was granted? You think seaweed is a problem did you see the sea of litter left by a large ethnic group on the beach opposite Arlington house Sunday evening. Passers by were totally disgusted. Not just litter but hundreds of glass bottles. There was even a cardboard plack with a bar tariff on it indicating the sale of liquor. Its not just a situation of the evironment's threat to mankind but mankind's threat to our environment. I really feel sorry for our poor council workers for having to clear up this mess so children can play safely again. Just got back from Margate sands. 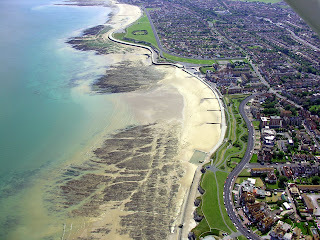 Since last night the beach fairy has visited and the sands were back to their pristine condition for families to enjoy. Please pass on thanks to those concered for a good job done. It is a shame that such people who left it in such a state last night are allowed to use it. A Two Million Pound Cheque.